You don’t have to be an expert in fine wine investment to know that when demand grows, so does price. The cost of fine wine from regions like Bordeaux and Chablis have been driven through the roof, making it unaffordable for anyone but the super rich. But change has quietly been brewing in the world of wine, and notions towards fine wine may be set to change; much like everyone who became fed up of having to swallow cheap, tasteless mass produced lager, we are also getting sick of cheap, vinegary mass-produced wine. The latest trend for esoteric wines is gaining real momentum across the UK and the globe. With ever increasing prices, wine drinkers are looking to alternative ranges and varieties from vineyards we don’t typically associate as being leading producers of fine wines. Could esoteric wines from increasingly varied grapes and vineyards achieve the same level of popularity as craft beer, or should we not believe the hype? Some of us might be familiar with the term ‘esoteric’, but it’s probably fair to say most of us are not. It’s one of those words used by progressive, counter-cultural art and design students to describe something that is only intended (or likely) to be understood by a niche group of people with specialised knowledge, experience or interest. The term ‘esoteric wines’ refers to wine made from unusual grapes or grapes grown in younger, less known vineyards. They differ from ‘New World’ wines (those from countries like Australia, Chile and South Africa) that are largely now as popular as those from Old World vineyards. Esoteric wines might not come from California’s Napa Valley, the Burgundy region of France or New Zealand’s Marlborough Estate, but the UK wine market is becoming increasingly flooded with especially fine wines from countries you might not expect, such as China, Turkey and Georgia. In China, for example, more space is given over to vineyards than in France. That’s surprising given that it is only within living memory that wine drinking culture has been widely assimilated into Chinese society. Now, there is a growing trend for organic and biodynamic wines in China, and experts talk of a noticeable upturn in quality and taste in the last decade. “We’ve got to stop trying to pigeon-hole wines” said Simon Jerrome, Head of Wine Buying at Conviviality. He continues: “The lines are being blurred where the grape varieties come from”, giving an example of an Albarino from New Zealand. It’s becoming ever more popular to see winegrowers and winemakers increasing the variety of wines available from any particular region. How popular are esoteric wines? While the entry of esoteric wines into UK markets is moving with considerable momentum, it’s still a recent development. Only in 2013 did major UK retailers first give Chinese wines a permanent place on their shelves. 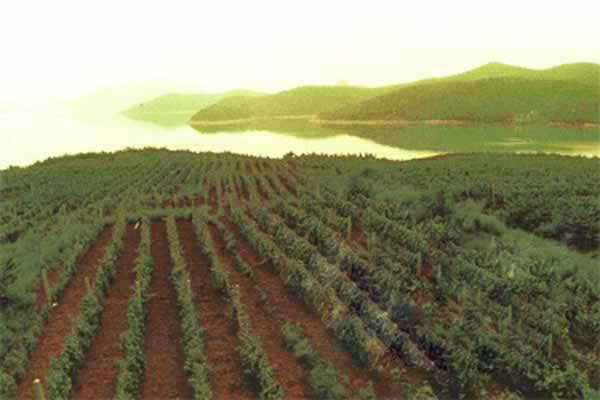 Turkish winemaking stretches back millennia, but the industry has only come to international recognition in recent years. Turkey benefits from a vast range of indigenous grape varieties, many of which have long remained unknown to wine lovers beyond the country’s borders. Now, there are considerable restrictions on the consumption of wine within those borders, but Turkish wine is reaping awards. Regions like Thrace, the Aegean Coast and Cappadocia developing individual identities that will surely soon be in vogue. It’s not simply wine from atypical origins that are hitting shelves, the wine itself is becoming increasingly unusual and varied. Hoping to appeal to younger shoppers, ALDI recently announced a new range of artisan wines, bottled to look like ‘trendy’ bottles of craft beer. This new wine format emphasises its organic qualities, designer labeling and a lower ABV. This has resulted in a growth of esoteric wines both in terms of theatricality and choice. As wine drinkers become more willing to experiment more—as they do with craft beer—unusual and esoteric wines might just begin to challenge fine wine as we know it. Are esoteric wines actually worth anything? While the fine wine market is currently dominated by Bordeaux and other well-known wine producing regions, could esoteric wines become a lucrative investment? Wine investment refers to the acquiring of specific wines with the intent to sell them on in the hope that the wine’s value has improved. If you’re going to invest in a wine, you need to have some confidence that it’s going to increase in value over time. According to The London Wine Cellar’s expert guidance on fine wine investment, no wine is recession proof as the market fluctuates often. And even if you have a delicious, highly-regarded Bordeaux wine in your cellar, that’s no good without a label or if the cork has devoured some of the contents. A rare esoteric wine, might soon compare to the fine wines we are familiar with today if the future market is favourable, and if your collection is well-preserved. Either way, esoteric wines are likely a relatively safe wine investment. Today, most esoteric wines are generally cheaper because they fly under the radar, which minimises the overall risk of making a purchase to invest. Emerging from new wine regions, still in their infancy, there is every chance any one of these new wine producers could significantly disrupt the market. Should we be drinking esoteric wines? According to Wine Folly, becoming familiar with esoteric wines can add notches to your belt: “Their benefit is that they taste so unique from the norm that they’ll often give first-time drinkers an ‘Aha’ wine moment.” That, Wine Folly explain, is when you taste a glass so different, it changes the whole way you think about wine. While esoteric wines have until this point largely benefited from novelty value, there can be no doubt that esoteric wines, among them bottles from upcoming Chinese, Turkish and Georgian vineyards, are going to become ever more drinkable and increasingly investable in years to come. Next PostIt takes time to secure great search engine rankings – Why is it so?